When you want a tour of somewhere in New York, you'll want to make sure it's guided. Learn things you never knew about each place you visit when you have a helpful guide to educate you! New York City's Best Food Tasting Walking Tours! 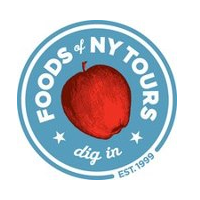 Foods of New York Tours was established in 1999 and has been providing New York City tourists and residents with the best Guided Tours of New York! Foods of New York Tours provides food tasting and cultural walking tours through New York City's most delicious and historic neighborhoods. They provide a "non-touristy" experience so you feel like a native New Yorker! Each tour includes food tastings from the best specialty food shops, ethnic eateries, and one local restaurant, as well as an "off-the-beaten-path" glimpse of "Life in New York City" -the history, culture, architecture, and entertainment offerings. 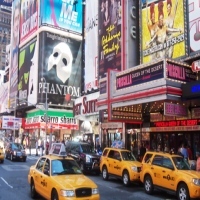 See the 5-Star review Foods of New York Tours received from FunNewJersey.com! Interesting fact, before New York was dubbed the Big Apple, those who knew New York City called it The Big Onion. 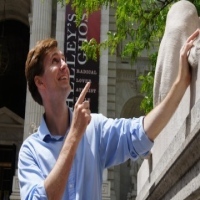 The Big Onion Walking Tours offer guided tours to famous landmarks and museums of New York. With its highly knowledgeable tour guide, you will be able to learn and understand the why and how of New York City. 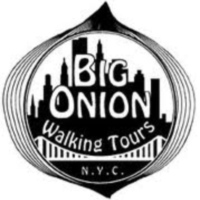 The Big Onion Walking Tours has been recognized and garnered several awards such as The Best Walking Tour In New York City by New York Magazine and Best Urban Walking Tour In New York by Forbes.com. With its excellence in providing great service, the guided tour will surely provide the best tour in the city yet. The most unique tour in New York! This is no ordinary City Tour. 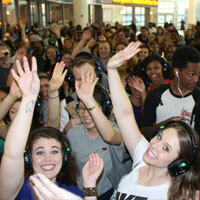 We merge flash mob, dance party, bar crawl and even a bit of a tour of the city to create an unforgettable experience. Just put on your headphones and let your personal party guide whisks you and 100 or so on a wild ride through the city. Jam to awesome beats on two different stations as you walk down streets, take over the subways, hop on a ferry or explore a park… No night is ever the same. In addition to the Party Tours, try Quiet Clubbing anywhere from an upscale rooftop to a fun Beer Garden. Party with 3 Live DJs spinning at the same time, playing different genres of music like 80’s & 90’s, Top 40, EDM, Hip Hop, etc.. With flick a switch you can tune into any DJ. The blue, red, or green light on each headset shows which DJ other party go-ers are listening to so you can dance to the same beat. View All of New York in the Wink of an Eye! Have you ever wondered how you can see all of the Big Apple in a wink? Hop onto New York’s Skyride! This is a virtual-aerial tour experienced at the 2nd floor of the Empire State Building and definitely one of the coolest things to do in New York. They say you are not a TRUE NEW YORKER if you haven’t seen it all. So what are you waiting for? Bring your friends and family and experience this multimillion dollar, virtual tour flight simulator located in the Empire State Building! This is the best guided tour in NY. A guided tour from people who know New York better and who are true New Yorkers, Manhattan Walking Tour offers a tour that is fun, interesting and unique. The walking tour will be an experience that you will never forget, you will get to try different food around the city, you will also get to visit famous places such as Time Square, China Town, Greenwich Village, Central Park and many more. 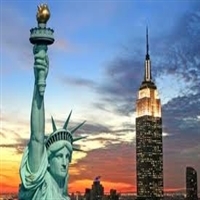 So tour with Manhattan Walking Tour in New York and get to know its rich history and diverse culture. Make your trip a personal and a wonderful experience that is worth remembering. Be A Traveler Not A Tourist! Explore the wonders and beauty of New York on an exclusive private walking tour whose goal is to have you experience New York City from a Native's perspective. All tours in New York are conducted by Lina Viviano, an experienced and a highly acclaimed licensed New York tour guide. Tours will cover many of the city's famous landmarks and local attractions, and learn the rich cultural heritage of the people. So come and explore New York City's history, where you will enjoy at the same time, learn from the people and taste the different food in the city. For reservations please visit the website or contact them through email. Andrew Smith founder and a tour guide of Metropolitan Walks started being a tour guide when he was still in middle school, and today he is now an expert tour guide of New York, a walking encyclopedia of things that are New York. 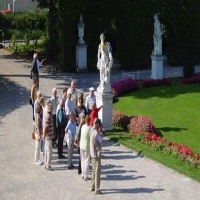 Metropolitan Walks offers tours to many famous landmarks in the city, each week there are 10 scheduled tours to meet the interest and to suit the plans of its guests. Trips covered in the city include going to many highlighted famous locations of New York. The guided tours last 2 hours and in the time span, you will get to learn and enjoy your tour inside the Big Apple. A Wall Street Walking Tour! 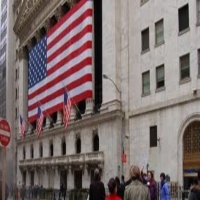 Wall Street Walks is a guided tour to New York's financial hub where you will learn more and understand how things work on Wall Street, also you will get to walk in the footsteps of financial moguls such as Alexander Hamilton, J.P. Morgan, John D. Rockefeller and many more. You will also learn the darker side of Wall Street including its scandals, crashes and panic inside the trading floor. So get a firsthand experience of the things that happen inside Wall Street and understand the ways and hear firsthand accounts from a Wall Street insider. For reservations and details please visit their website. A fun and exciting way to see the best of New York, where you get to be inside an open roof double-decker bus. City Sights NY offers the best experience in providing a guided tour to the city, without the hustle's of walking, you will just have to listen to the tour guide and enjoy the amazing sites of New York. The tour covers much of the famous sites of New York City, such as Broadway, Time Square, The Empire State, Wall Street, famous night clubs in the city and many more. Location to be toured depends on the package that you book online. So make your reservations today and enjoy the beautiful sites of the city. An Amazing Cruise Around New York! One way to see the beautiful sites of New York is by water, here at Circle Line Sightseeing Cruises, you will be amazed by the spectacular views of the skylines of New York, and see the magnificence of the Statue of Liberty. Also you get to see a great view of the rising Freedom tower in the World trade financial center and Ellis Island. 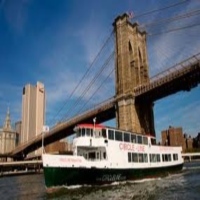 Circle Line Sightseeing Cruises offers a guided tour that shows a lot of views of the beautiful city and a first class experience in travelling in New York. So make that trip to New York an experience worth taking and a memory worth cherishing, cruise with Circle Line Sightseeing Cruises and enjoy the wonders of New York. 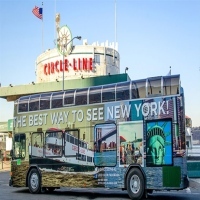 A Fun Way to See New York In a Double-Decker Bus! 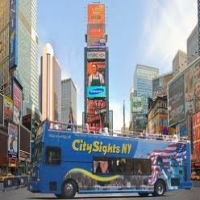 Metro Sight Seeing offers a guided bus tour where you get to see 25 of the most visited places of New York. An amazing and unique experience worth taking and with its excellent service and great tour guides, you will definitely get to know the real New York. The tour is a two and a half hour bus tour and in that time frame you will absolutely learn what you need to know about the city. The bus tour costs only $25, which makes it an affordable and a good way to see the city without any hustle. So make your trip to New York complete only at Metro Sight Seeing, it's a trip that you will never forget. An Adventure Waiting For You! See the great Niagara Falls and be at awe from its wonderful beauty and its breath taking landscape, it is a wonder of nature. Every year thousands of tourists flock to see the great falls, which make it one of the most visited places in New York State. Bedore Tours offers a great experience of Niagara Falls, it is a guided tour, where you will learn many things and famous legends about the great and mighty Niagara Falls. Bedore Tours has a committed and hardworking team, dedicated in giving the best and quality service that will satisfy your experience of your visit to Niagara Falls. 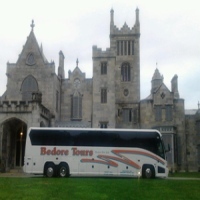 So come tour with Bedore Tours and make your reservations today. You can visit the website or contact by phone.